Travellers to Japan invariably notice the cultural fixation on perfection that pervades there. It saturates everything from sushi and transportation all the way to the symmetry of Mt. Fuji and the timelessness of Kyoto. Travelling in Japan is a powerfully evocative experience beckoning visitors to imagine a world without flaws. 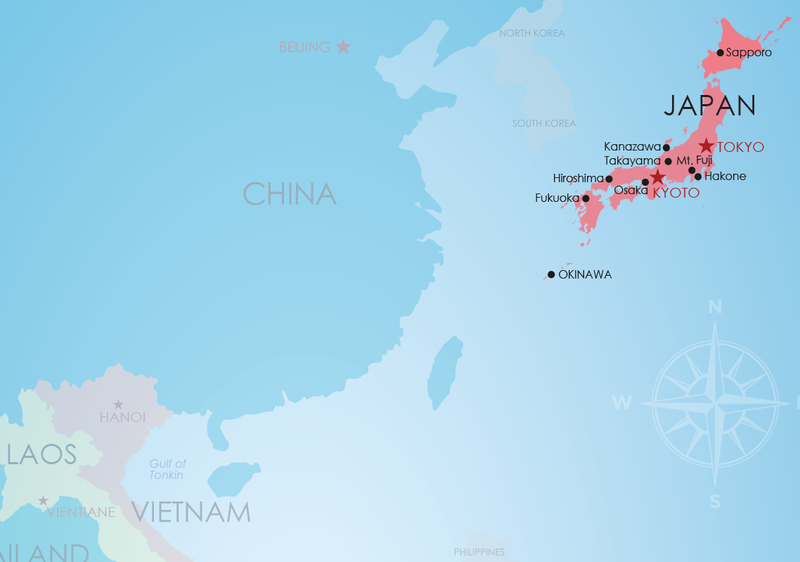 Japan is a nation of islands stretching across the Pacific coast of Asia. Along with the 'Home Islands' of Hokkaido, Honshu, Shikoku and Kyushu, Japan consists of nearly 7,000 mostly volcanic islands. This geography has long played a role in the Japanese way of life which, to this day, is deeply connected to the sea. Whether lounging in a traditional Japanese onsen in Hakone, skiing in Hokkaido, snorkelling in Okinawa or shopping in Tokyo, EXO shows the very best of Japan. Whether searching for a traditional Japanese-style ryokan, a charming boutique hotel or anything in between, our list of preferred hotels across Japan offer the very best for any traveller. Japan experiences a wide variation in weather depending on the season. To avoid extremes in either direction, head there during autumn (September through December) or spring (March through May). Japan's seasons do, however, offer incentives to travellers, such as cherry blossoms in spring and snow in winter.